Quite a grand word, isn’t it? Something to live up to. Something to stir (or chill?) the blood. On the other hand, sometimes it can be healthy to look at grand words and concepts from a fresh perspective to avoid stereotyping them. After all, we’re writers. Words should be at our command—not the other way around. If right now the word “destiny” seems a bit intimidating in reference to your writing, let’s do an exercise to clarify the true definition of the word. My destiny is to be a writer. You may still have issues about how to write more often, how to feel like writing at the end of a long workday, etc. but at least you’ve simplified your destiny for the time being. 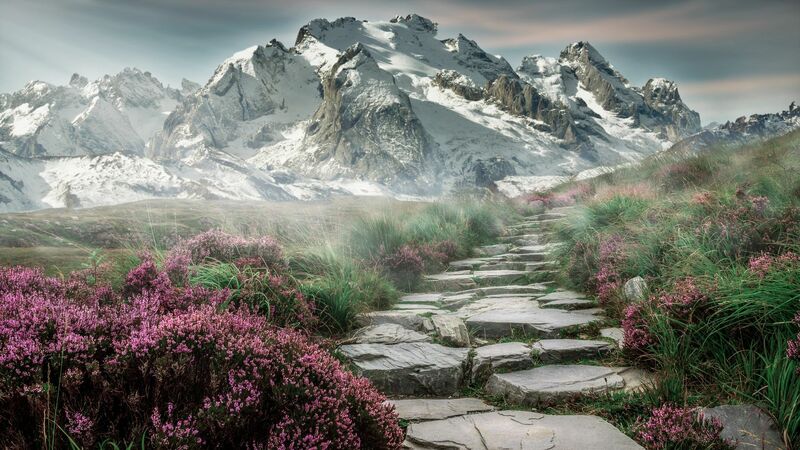 Taking the pressure off ourselves by reframing our grandiose expectations (and then learning how to take baby steps instead) can work miracles. “Something that has happened” can be used as a powerful reminder that you’re already living your destiny. Think about all of the writing you’ve done up to this point. Try to resist the urge to dwell on your usual dissatisfaction and, for the purposes of this exercise, view your writing as something that has already happened. Quantity and quality aside. “Lot or fortune” can sound like good or bad luck, which we can sometimes feel is out of our control. But even bad luck can be turned to our advantage if we learn from it and share our wisdom with others. Power and success through writing can take many forms. A writer I know, journalist George White, went into kidney failure, lived through a couple of painful years of dialysis and then received a kidney from his sister. George journaled his experiences on CaringBridge.org, touching many hearts with his humble wisdom. It may not always feel good, but the process of becoming or being a writer can be strengthened by the challenges we face. For the ultimate example of this, watch the 1987 movie Gaby: A True Story. 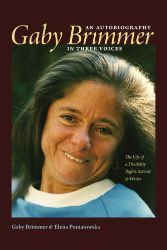 The movie is based on Gaby Brimmer, a woman disabled by cerebral palsy who is unable to speak or move—except for communicating with her left foot. Gaby overcomes her physical limitations to become an author and acclaimed champion for the disabled. Gaby defined herself as a writer. She [wrote] by pointing with her toe to letters on an alphabet board in order to spell out words. She had poems and articles published in journals of disability and other organizations in Mexico and the United States. In the movie it comes across vividly that Gaby believed she had a destiny. She was determined to live life on HER terms. Many writers face bad luck or misfortune. It’s what we choose to do with that luck that becomes part of our writing destiny. Do you have a writing destiny? If you believe this destiny is something that will be bestowed upon you if you’re talented enough, then you’ll remain passive and unfulfilled. But if you seize your writing destiny by the hour—use every available hour (or half hour) to do the writing that will get you the practice and experience you need—then there’s no longer any question. OF COURSE writing is your destiny. Because you choose it to be. And then you make it happen. The link for Gaby’s autobiography is an Amazon.com affiliate link. If you click the link and buy the book, I will receive a commission. See my Amazon affiliate disclosure. Milli has been helping writers and closet writers since 2001 with her unique blend of productivity, intuition and fun. “Winning the jackpot” is how one of her clients described it. Want to be writing thousands of words within the first week? If you’re struggling with the writing you need or want to do, request a friendly and liberating 1-hour free consultation with Milli today.